Bitcoin Fan Gear offers unique apparel, and accessories for Bitcoin enthusiasts who value versatility, style, and comfort while showing their love and respect for Bitcoins and Ethereum. We aim to offer great conversation starters regarding cryptocurrency. What better way to do your part to support the revolution. Your whole order ships for 99c if buy 1 item or 10 so don't be shy and know these make great gifts for the enthusiast in your life. The technology behind BTC and ETH is a game changer and it's here to stay. Being seen in our unique apparel shows that your ahead of the times, your on the cutting edge of modern technology. We are convinced blockchain is a disruptor technology and will be a sizeable part of our every day finance lives in the not so distant future. Now is the time to be the first among your family/friends to proudly wear our ultra modern products and showcase your support and enthusiasm. When Bitcoin and Ethereum become a household name everyone will remember you as the one who brought it to their attention. We started in June 2017 as a division of Boston Bitcoin Company and hope to serve you for years to come. Bitcoin Fan Gear prides itself on providing excellent customer service. Right now we are working on designs for womens shirts as well as more stickers and customised items to showcase your interest in cutting edge disruptor Blockchain technology. We just started in June 2017 as a division of Boston Bitcoin Company and hope to serve you for years to come. Boston Bitcoin Company is a reputable full service broker of Bitcoins and other altcoins, they buy/sell the intangible, we proudly only carry goods you can see and touch. 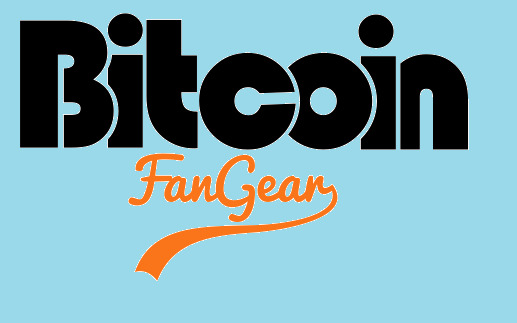 Bitcoin Fan Gear prides itself on providing excellent customer service. We know the technology behind cryptocurrency is here to stay and our goal is to be your go-to source and first place you look for any items Bitcoin and Ethereum. Right now we are working on designs for womens shirts as well as more stickers and customised items to showcase your interest in cutting edge disruptor Blockchain technology.